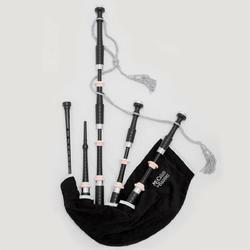 Offering you a complete choice of products which include canmore hybrid zipper air bag, mccallum bagpipe p4fn, mccallum bagpipe p2, ceremonial leader stick, mg drone reeds and bagpipes chanter sheesham. The Latest addition to the Canmore range is the Hybrid bag. This bag is constructed using our Technically advanced GORE-TEX fabric with a hide outer. This gives the feel and weight of a hide bag without the maintenance associated with traditional hide bags. 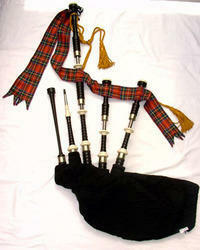 McCallum Bagpipes – The world’s favourite Great Highland Bagpipe maker. All McCallum Bagpipes are precision manufactured at McCallum factory premises in Ayrshire by their team of highly skilled bagpipe makers – some of whom are experienced pipers, providing you with the peace of mind that all McCallum Bagpipes products are made by true experts. Black Acetyl - Fully Combed & Beaded.Engraved alloy projecting mounts, ferrules, slides and ringcaps. Plus a plain plastic mouthpiece with a McCallum plastic pipe chanter, cover, silk cord and Canmore Hybrid Zipper Air Bag. 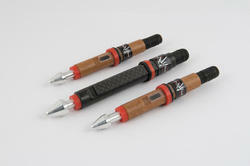 We are prerparing a wide range of Ceremonial Leader Stick to our clients as per their request. 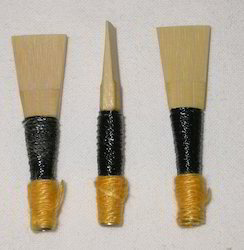 This premium set of drone reeds have a full set of carbon fibre tongues, giving an instantly steady reed. The tenor drone reeds in this set do not give the harsh buzzy sound normally associated with carbon fibre reeds, they have been designed to give a full rich tone yet retain a smooth and mellow sound. Precision engineered from moisture resistant materials. MG Carbons: Resonant, steady, stable and rich. 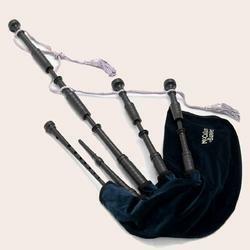 The Bagpipes chanter is the part of the bagpipe upon which the player creates the melody. 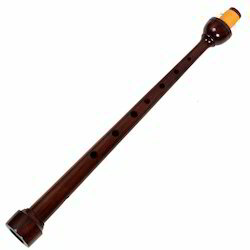 It consists of a number of finger-holes, and in its simpler forms looks similar to a recorder. On more elaborate bagpipes, such as the Northumbrian bagpipes or the Uilleann pipes, it also may have a number of keys, to increase the instrument''s range and/or the number of keys (in the modal sense) it can play in. 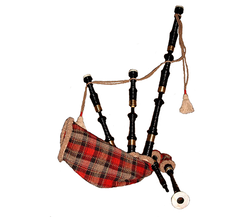 Like the rest of the bagpipe, they are often decorated with a variety of substances, including metal (silver/nickel/gold/brass), bone, ivory, or plastic mountings. 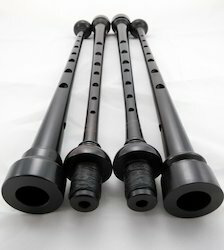 McCallum Bagpipes pipe chanters are manufactured from Polypenco. These instruments are a quality product producing a true tone for the discerning ear. 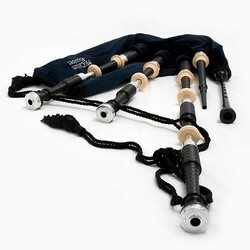 Each chanter carries the McCallum Bagpipes marking, your guarantee of workmanship to the highest standards. With McCallum Bagpipes pipe chanters featuring in a number of major championship winning performances at the highest level of competition, it is no surprise that no less than 15 of the world’s finest pipe bands have selected our chanter to deliver their musical presence. All McCallum Bagpipes are precision manufactured at McCallum factory premises in Ayrshire by their team of highly skilled bagpipe makers – some of whom are experienced pipers, providing you with the peace of mind that all McCallum Bagpipes products are made by true experts. Black Acetyl - Fully Combed & Beaded.Small plastic projecting mounts, ferrules and ringcaps. 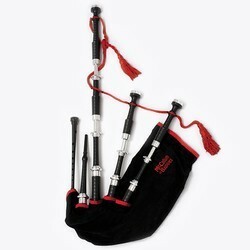 Plus a plain plastic mouthpiece with a McCallum plastic pipe chanter, cover, silk cord & Canmore Hybrid Zipper Air Bag. All McCallum Bagpipes are precision manufactured at McCallum factory premises in Ayrshire by their team of highly skilled bagpipe makers – some of whom are experienced pipers, providing you with the peace of mind that all McCallum Bagpipes products are made by true experts. Black Acetyl - Fully Combed & Beaded.Small plastic projecting mounts, with alloy ferrules and ringcaps, Plus a plain plastic mouthpiece with a McCallum plastic pipe chanter, cover, silk cord and Canmore Hybrid Zipper Air Bag. All McCallum Bagpipes are precision manufactured at McCallum factory premises in Ayrshire by their team of highly skilled bagpipe makers – some of whom are experienced pipers, providing you with the peace of mind that all McCallum Bagpipes products are made by true experts. Black Acetyl - Fully Combed & Beaded.Imitation ivory projecting mounts, with imitation ivory ferrules and ringcaps. Plus a plain plastic mouthpiece with a McCallum plastic pipe chanter, cover, silk cord and Canmore Hybrid Zipper Air Bag. All McCallum Bagpipes are precision manufactured at McCallum factory premises in Ayrshire by their team of highly skilled bagpipe makers – some of whom are experienced pipers, providing you with the peace of mind that all McCallum Bagpipes products are made by true experts. Black Acetyl - Fully Combed & Beaded.Imitation ivory projecting mounts, with engraved alloy ferrules, slides and ringcaps. Plus a plain plastic mouthpiece with a McCallum plastic pipe chanter, cover, silk cord and Canmore Hybrid Zipper Air Bag. 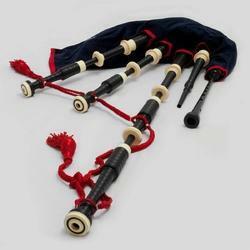 We are offering Indian Bagpipe to our clients. 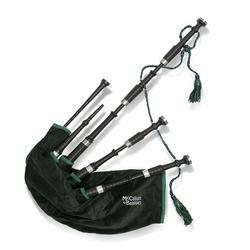 Looking for “Bag Pipe Instruments”?